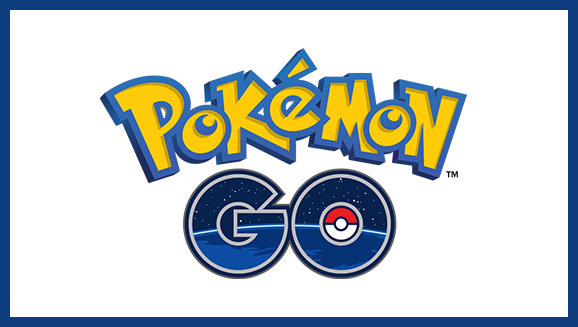 GeekRex | Can we create a Pokémon Go Treaty for SDCC? Can we create a Pokémon Go Treaty for SDCC? Have I walked into objects because I was staring at this game on my phone? Yes. Have I awkwardly captured Pokémon resting near strangers, children, and even babies in public? YES. But here is what I promise you: I promise I will not let Pokémon Go ruin my SDCC etiquette. You all know what I'm talking about, whether you've played it or not. The internet is beleaguered with pictures of Pokémon sitting in awkward places and creating weird memes-- and we're only a few days past the game's U.S. release! With SDCC looming over the horizon, the confluence of huge nerdy crowds and free internet in the convention area will create a perfect storm of Pokémon Go players whose behavior will dictate whether or not the convention is a convivial paradise or an unfathomable nightmare. Am I saying don't play the game? Of course not! Actually, there will be a Hall H panel on Sunday with Niantic founder John Hanke and a separate meet-up in Balboa park. But can we all agree to hold sacred a few key commandments of con behavior? I Shall Not Randomly Stop Walking in A Crowded Place: I know this seems pretty obvious, but it's already a BIG problem at most congested conventions because everyone stops walking to take pictures or randomly point at things in the middle of a crowded street, or something equally absurd. This is a 4-day-long walking version of rush hour traffic, and catching Pokémon is not a good reason to keep our proverbial (or literal) cars on idle in the middle of a busy lane when it's our turn to move. If con-goers are glued to their phones and suddenly stopping to snap up an Eevee or a Goldeen, it's going to hold up everyone and cause a lot of annoyance. Can we agree to only capture Pokémon when we are: a) not moving and b) not in the way of others who are moving? I Shall Look Where I Am Going: Similar to the above, but let's all be conscious of personal space when walking and moving with this game. Space is at a minimum in these crowds, yet there's no excuse for bumping into someone, stepping on their costume, etc. Again, I realize this is both common sense and common courtesy, but let's be real about how many of us are going to look at our phones instead of where we're going. (By this I also mean let's not walk into moving traffic). I Shall Not Take Pictures Without Permission: Last, and certainly not least. Yes, it's hilarious to take pictures of Pokémon positioned in really weird places or, even better, on our friends. But con etiquette and basic human respect demands that we should not take pictures of people in their costumes without asking permission. Let's apply that same rule to the whole lot of convention-goers and agree not to post pictures of random people who don't want to be in our pictures, even if a Rattata is jumping out of their mouths. It'll be interesting to see what thousands of people playing this game in one small area looks like, aside from the ridiculous turnover at gyms and lure modules at every PokéStop we know we can expect. Everyone spends a lot of money and time getting to this convention, so as the loading screen reminds us every time, let's be aware of our surroundings.